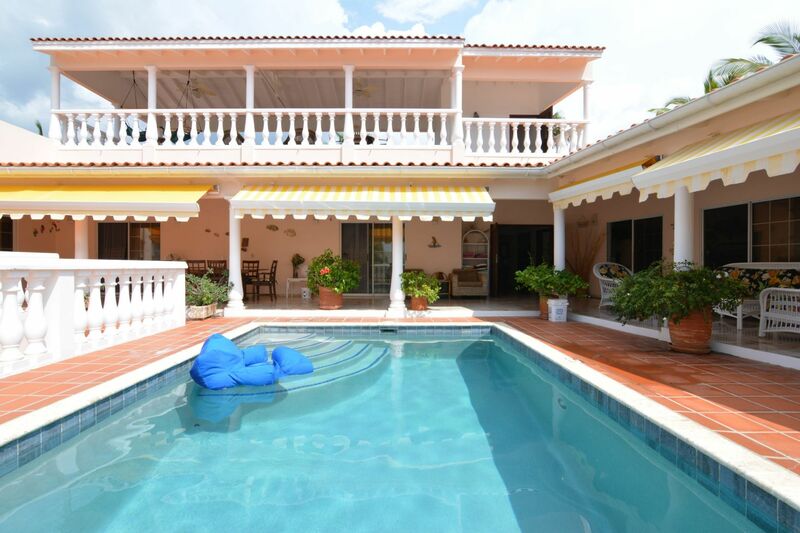 Step into this spacious villa to admire the privacy on one of the many covered porches poolside or the panoramic views from the covered roof terrace with stunning views. 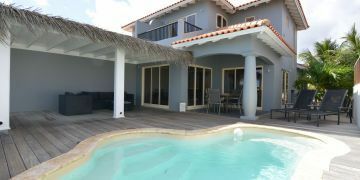 This where you can entertain your family or guests with a refreshing tropical drink and enjoy life on the tropical island of Bonaire. 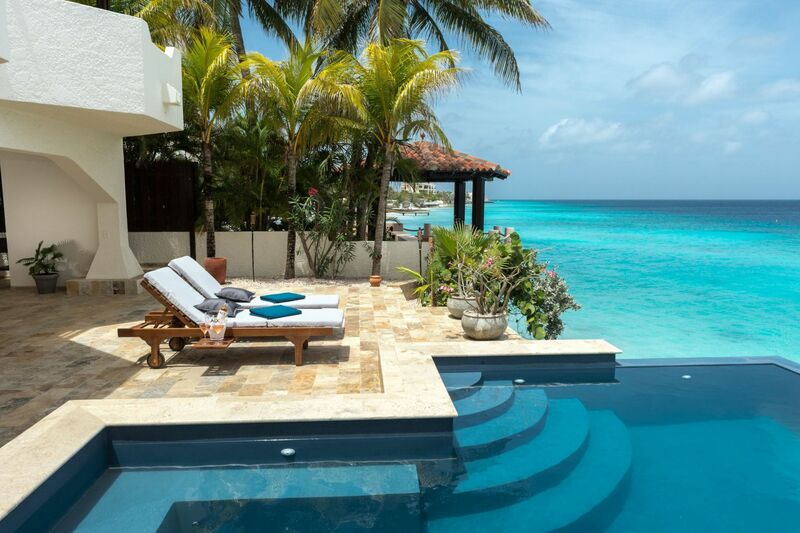 With three spacious bedrooms (of which the master comprises an entire wing), privacy is guaranteed. The kitchen is custom made for gourmet cooking and flows seamlessly into the living room. Garden: lush tropical garden with lots of trees and plants and white gravel stones. Entrance into central hall with access to living room with open concept kitchen (sliding doors to one of the covered porches poolside), pantry. 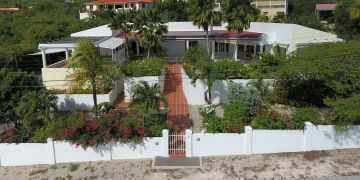 Central hall with access to full guest bathroom, master wing with bedroom (access to covered porch poolside), en suite bathroom & dressing area, two bedrooms with bathroom (Jack & Jill style). Stairs to covered roof terrace. Garage and storage. Registered at the Land Registry Office Kadaster, number 4-A-963.